It was about time to provide a new build, isn’t it? We’re proud to share this one with you. It introduces a top gun feature: a solution to manage multi-resolution game on every screen! We’ve also worked on gamepads support, improved the sound manager and many other improvements. On 11th October, we participated to the Flash Online Conference #6, it introduces the Citrus Engine and present RaveAI 2D which will be added into CE V3.2. The record is here. Removed Spine runtime support. Use it via DragonBones library (easier to maintain only one skeleton lib). Updated to latest DynamicTextureAtlas extension. justDid,isDoing,hasDone return the corresponding InputAction object or null (instead of just true or false). new utility functions such as getAction() with phase/controller/channel filtering. InputAction’s time property tells how long (in frames) the input action has been active in the input system. added contains(x,y) , containsRect and intersectsRect as a way to know if points/objects are on or off screen and how. for objects, use their visual bounds in state space. the camera updates its cameraLensWidth/cameraLensHeight by listenting to the CitrusEngine onStageResize signal, no need to update it manually now. UI sound group added by default. revamp of the entire system (see below), sounds can be played more than once. with the flash display list CitrusEngine mode, swfs are wrapped into the new spriteview.AnimationSequence to allow for animation tracking, onAnimationComplete like the starlingview.AnimationSequence – as long as the .fla has the format described in the documentation for spriteview.AnimationSequence or is constructed the same way as patch_character-SpriteArt.fla in the citrus examples. use addEntity instead of add to add entity to state. box2D Reward fixed (updates by default). Added a LoaderContext for SpriteArt and StarlingArt, we are able to load swf on iOS. Added rotation parameter in TmxObject coming from latest Tiled Map Editor builds. Fixed a bug where using StarlingCitrusEngine we had to set it up directly. state.getObject* functions include results from searches in the pool objects. Known bugs can be found on the github issues list. We’ve also updated and added articles to the wiki because some new features do require explanations but we can’t go through each of them in this blog post. Have a look! The citrus engine examples have also been looked at individually to ensure they actually run ok. if you find a bug not listed above please report it! Make sure you’ve reviewed all elements of the changelog. There are some very important changes that could mean a small part of your project might need updating if you want to upgrade. if you need help or even have trouble understanding what actually changed and need more details, we welcome questions on the forum and even appreciate any kind of feedback or criticism. Pingback: Flash Platform Rundown – Week of November 10th, 2013 | In Flagrante Delicto! Hi, first of all I wanted to say citrus engine is awesome! I’m a bit of a beginner and having an engine so friendly and powerful as this really helps a lot! I’m having the same issue with the StarlingState class in the new SWC (not found). Could you please explain how can I fix this? Tried adding the grithub source code in flash builder but some other errors popped up, so I’m not sure that’s what you meant with using the source code. Sorry, I’m a bit noobish haha. Thanks again for this incredible engine!! Do you use FB 4.6? Please post on the forum, it will be easier to help you and others people. Thanks for the reply, didn’t know there was a forum. Found some posts in there that deal with the issue and I’m on my way fixing it. Again, congrants on the engine, it’s totally awesome. //starling is ready, we can start a state. You need put new state in this function. Put the a state in Main –> error. 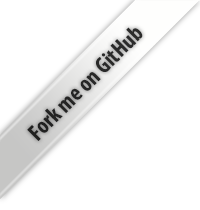 I want to initialize the CitrusEngine at any time, but the method initialize() is not possible. Apparently the initialize method wasn’t included in the SWC of the 3-1-8 build. You can place the code in your initialize override function in your constructor function instead for now. It worked to me.